The Ministry of Justice has now released the final version of the new Pre-Action Protocol for Debt Claims that will come into force on 1st October 2017. The Protocol, in its current form, will apply to all debts where a business (which includes sole traders and public bodies) claims payment of a debt from an individual (which, again, includes a sole trader). If the debtor is making or offering regular payments, an explanation as to why this is not acceptable to the creditor and why a Court claim is being considered. The Letter of Claim will also include an up to date statement of account for the debt (including charges and interest), a reply form and a financial statement. Under current guidance, the Letter of Claim will need to be dated and sent on the same day or following day, by post, unless another method of delivery has been agreed with the debtor. The debtor then has 30 days to respond before proceedings may be commenced. If a reply is received during this period the creditor will need to allow the debtor a reasonable period to seek legal advice and if an offer of payment is received attempts should be made to agree a proposal taking into account the debtor’s means or, if refused, reasons given for its refusal. Should an agreement be reached but the debtor subsequently fails to comply with the agreement, a fresh Letter of Claim will need to be sent and the entire process will need to be restarted. If agreement was reached in the preceding six months however, it will not be necessary to send any supporting documentation. The aim of the Protocol is to encourage early communication and reduce the number of claims coming before the Court and, as with all other Pre-Action Protocols, to avoid sanctions (including costs sanctions), businesses would be well advised to ensure that they have acted in a manner compliant with the Protocol if they wish to pursue their matter further. 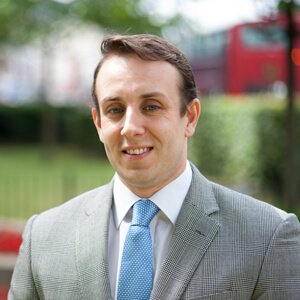 If you do require any assistance in recovering a debt, you should contact Adam Palmer on 020 7354 3000 or adam.palmer@colmancoyle.com.